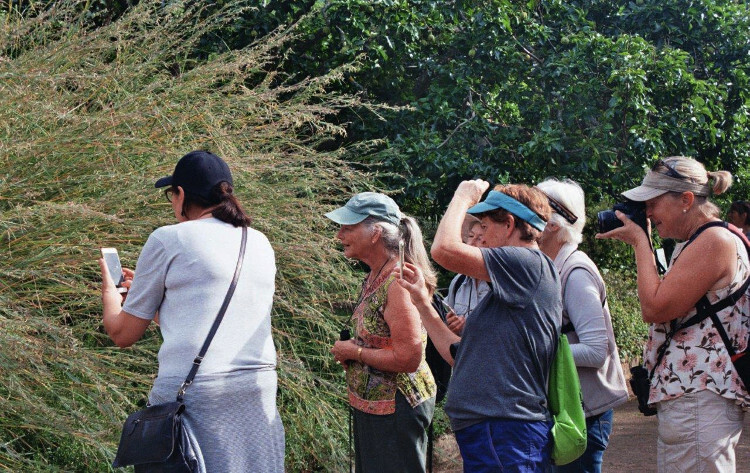 About 35 people arrived for the walk, including several from overseas, some new Cape Bird Club members, visitors to the gardens and regulars from the Cape Bird Club. It was a beautiful, sunny, wind free morning and a couple of recent recces had shown the area around the Sculpture Garden and the Botsoc office to be quite productive, so we set off in that direction. 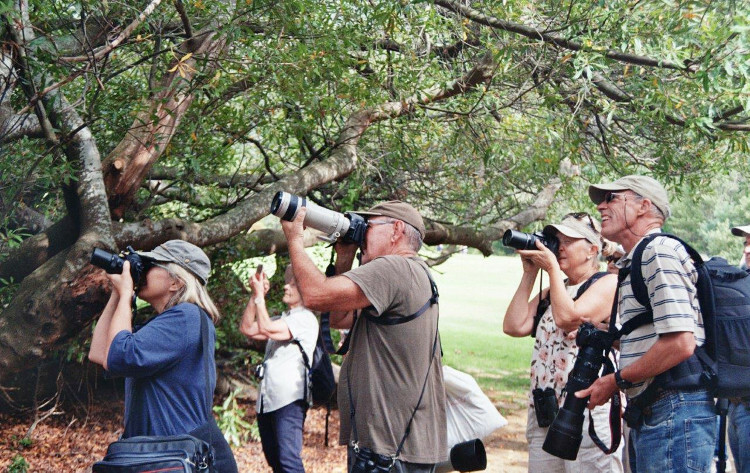 Sombre Greenbuls were calling and a few people saw the Swee Waxbills in the reeds near the Moyo restaurant before they flew off. 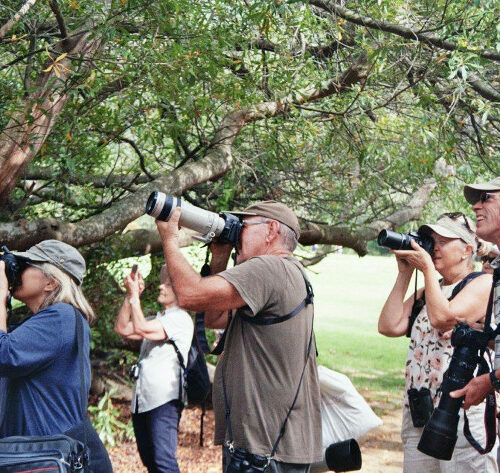 As luck would have it, birding was very quiet for a while with only a few of the commoner species being encountered. A wait at the pool near the Botsoc office didn’t produce the hoped for Bronze Mannikins and we continued towards the Dell. 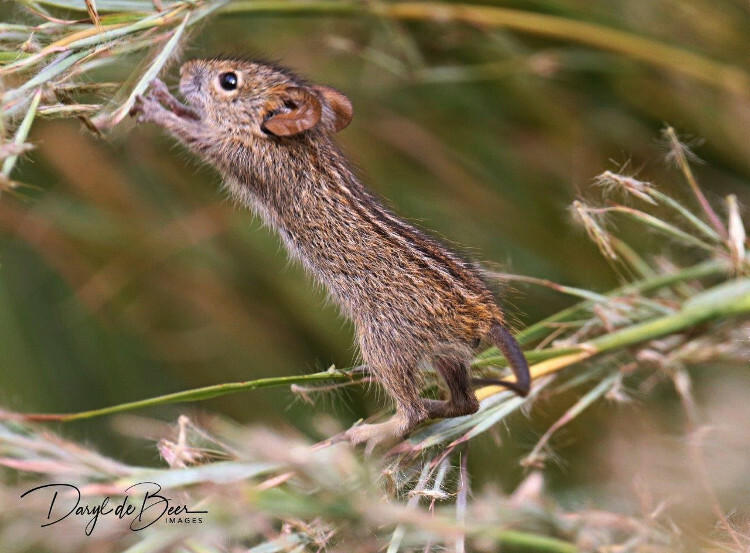 We looked for Swee Waxbills in the long grass at the corner of the path that runs alongside the Nursery Stream – no waxbills, but two tiny Striped mice that offered photographic opportunities. 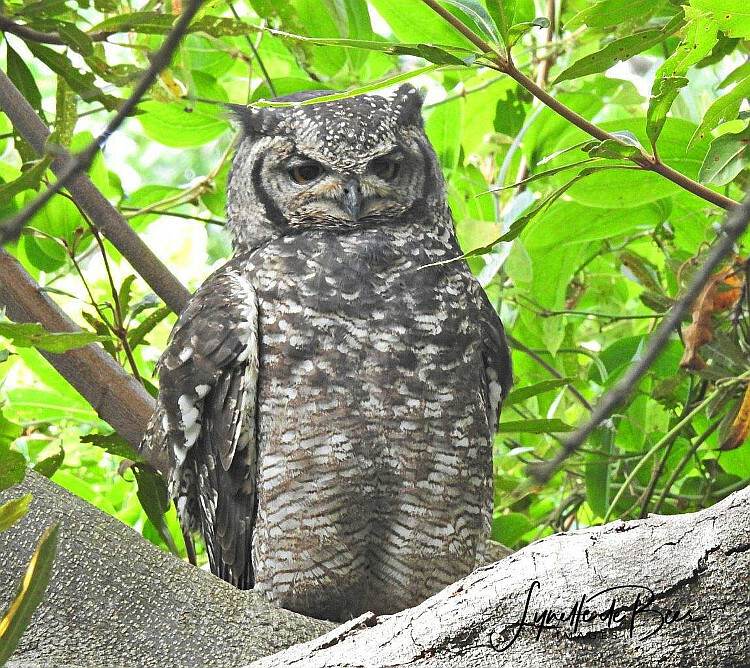 We continued along this path, finding a Spotted Eagle Owl perched in the large Almond tree and this was the best sighting of the morning so far. 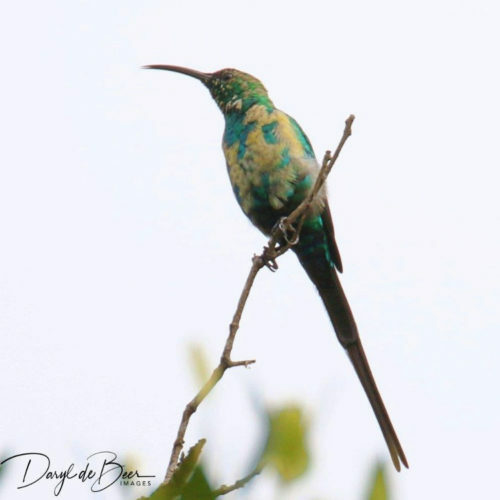 Continuing upwards, towards the Proteas and Silvertrees, we saw the only Orange-breasted Sunbird of the morning, saw lots of Olive thrushes, Cape White-Eyes, Cape Bulbuls and a few Cape Robin Chats, although lots were calling. A Black Sparrowhawk was seen flying away fast by a few people and a little later two more flew overhead, giving everyone good views. 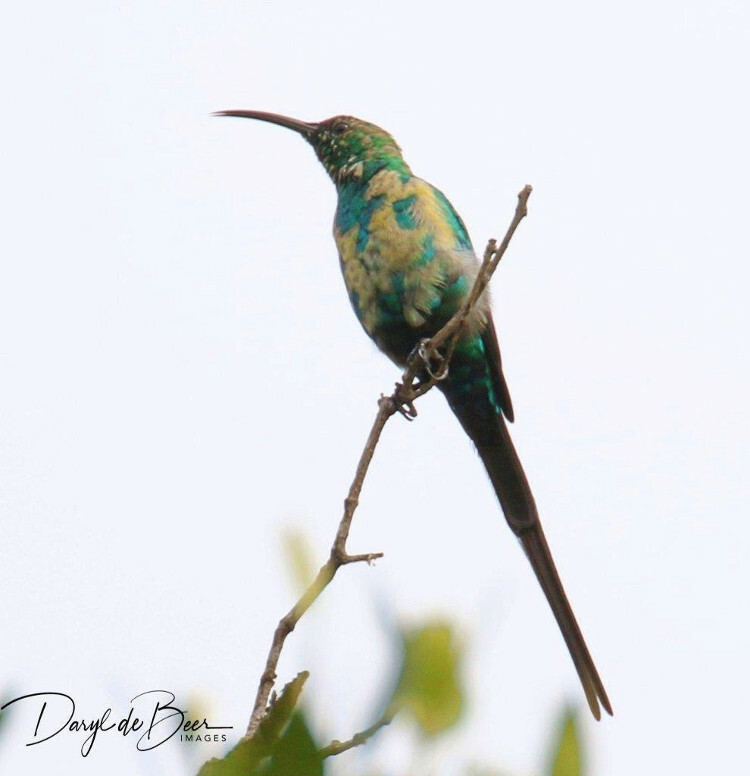 Meandering downwards towards the canopy walk, we saw a Malachite Sunbird in eclipse plumage, a Speckled Mousebird was seen on the top of a small bare tree and it was later joined by a Sombre Greenbul, both giving everyone good views. 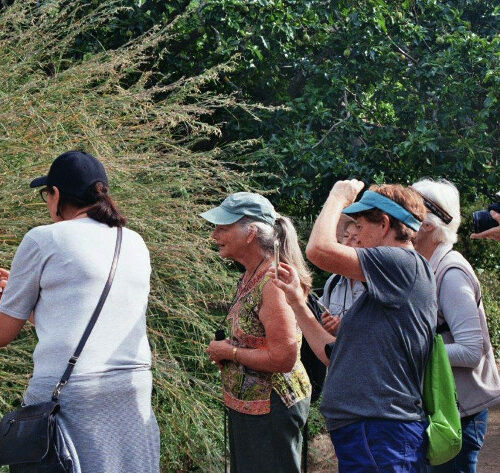 As we entered the Enchanted Forest, a pair of African Paradise Flycatchers was seen in the canopy, a highlight for many and just before the Canopy walk a very confiding Lemon Dove got everyone excited. 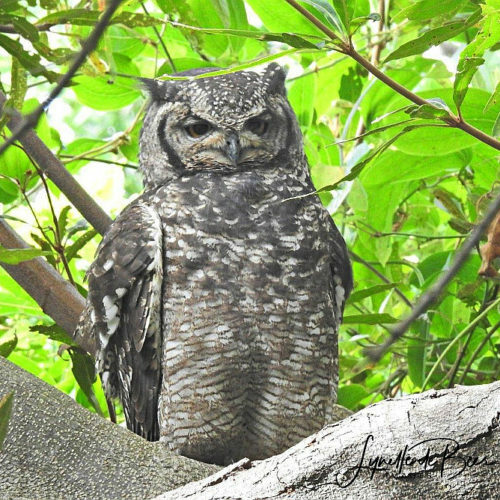 A visit to Kirstenbosch is always worthwhile and although the birding was somewhat quiet, we saw 26 species and certainly had some highlights. My thanks go to Linda Hibbin, Penny Dichmont, Daryl de Beer and Dennis Laidler, for helping to lead such a large outing. 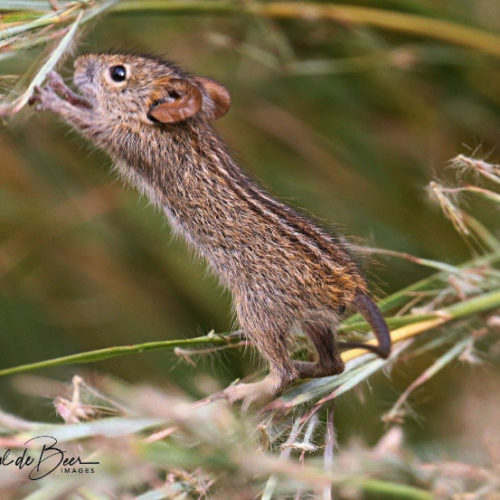 photographs by Daryl and Lynette de Beer, and Penny Dichmont.